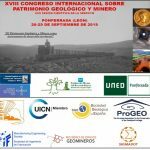 The Defense of the Geological and Mining Heritage Spanish Society (SEDPGYM) has launched the next edition of its Conference, the XVII Geological and Mining Heritage International Conference, with the SIF as a collaborating entity. As is known, last October, a collaboration agreement has been signed between SIF and SEDPGYM. The main objective was to strengthen the cooperation between both Societies. One of them included specifically participating in the organization of our respective international congresses. The Conference will take place at the Ponferrada City(León), at the headquarters of the National University of Distance Education (UNED). 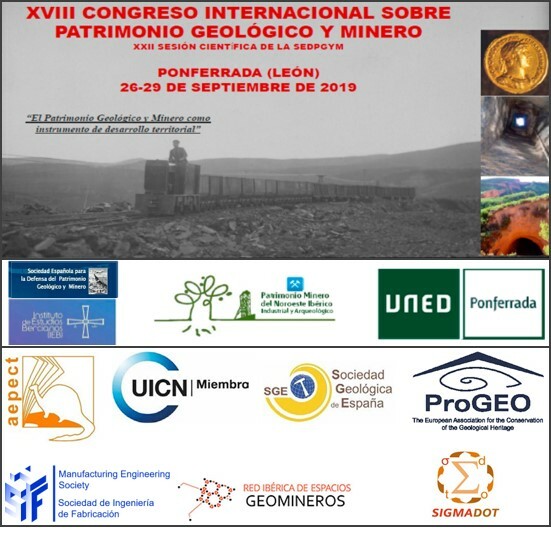 The celebration dates will be between the 26th and the 29th of SEPTEMBER 2019, with the title of “The Geological and Mining Heritage as instrument of territorial development”. In addition to the provisional program of the Congress, the first call of papers like August 15, 2019 as the deadline.